1 Why Do You Need a Freediving Watch? 3 How to Care For Your Freediving Watch? A freediving watch is your external brain underwater. Many divers use a dive watch or dive computer while scuba diving, but why would a freediver or spearo need one? The best freediving watch is the one that is easy to use, robust so it doesn’t break, and easy to read. Do Freedivers Need A Freediving Watch? Why Do You Need a Freediving Watch? Like diving too many times without rest. When going diving it is easy to lose track of how deep you go. Leave it up to the dive watch to keep track of this automatically. I personally like knowing the temperature when I dive. Maybe its the engineer in me, but knowing the different temperatures at different depths is interesting to read during and after uploading the data to my computer. Also, if I hit a fish at a certain depth, it helps to know what temperature it was caught at so I can update my fishing knowledge bank and compare it to the rule of thumbs you find in books or my spearfishing fish guide. You’d be kicking yourself forever! Not with a dive watch. Many dive watches come with an integrated GPS system. Their GPS system is able to save coordinates and point you in the right direction. You will never lose that fishing spot ever again. We all hate that alarms ringing in the morning. But when you are underwater, a simple alarm ring can save your life. Most dive watches come with an advanced alarm system. Some of them are able to track your oxygen level and alert you when you need to return to the surface or if you should wait a few seconds at a certain depth to decompress. There are a lot of dive watch brands on the market. This is the time to be a brand snob. Many brands advertise themselves as being good, and there are people that bite into that. When it comes to your safety underwater, you should always go with the most trusted brands. It is your life you are playing with, and having the best equipment will ensure that every dive you make is a successful one. Many freedivers like to have the data a freediving watch provides so they can track their improvements over time on their computer. The period between each dive is known as a surface interval. It is an important aspect that each diver should have in mind. The surface interval represents the period of time in which the diver has to rest before venturing back in the deeps. Diving can be stressful on the body and a rest period is required between each dive. Keeping track of your dives is important. You must know when to rest. Most dive watches will begin timing the surface interval the moment a diver reaches the surface. Most dive watches will automatically calculate NDL (No-Decompression Limit) based on their own algorithms. But some of them will allow you to enter the values and obtain a personalized result. It is a requirement for all dive watches to allow you to change the type of water you are diving in. This will allow the watch to calculate the NDL and to adjust to the different parameters of the water. Freshwater and saltwater are different and they have different parameters. Your dive watch needs to be able to adapt to them to provide you with the correct information. Quality freediving watches need to hold up under pressure…literally. Make sure your dive watch is rated to go beyond the deepest dives you plan to go. All dive watches come with depth indicators. Those indicators will show you the descend/ascend rate and the current depth you are in. There is also a mode that will display the maximum depth you can descend to. As GPS signal doesn’t work underwater, you will have to stay on the surface to record your start and your endpoint. Most watch manufacturers recommend that you raise your hand above the water and wait for the GPS signal to be received by your watch. During a single-gas or multi-gas dive, you can view the current dive conditions, the dive compass, and physiological data. When it comes to a gauge dive, most dive watches will allow you to view the current dive conditions, the dive stopwatch, the dive compass, and heart rate data. The gauge mode is not used by many recreational divers. 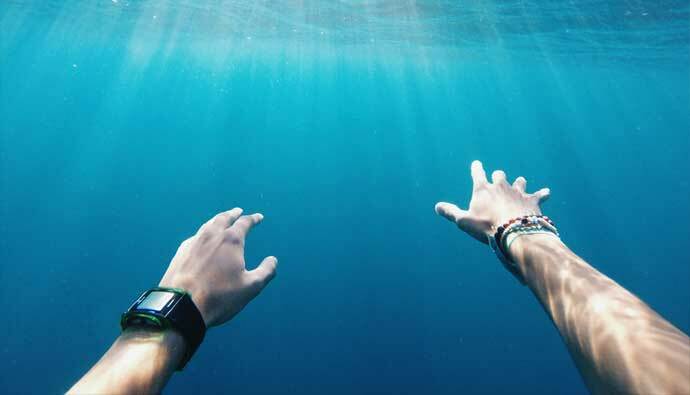 During an apnea or apnea hunt dive, the watch will display the current dive conditions, your surface time, details about your last dive, heart rate data, and the map. 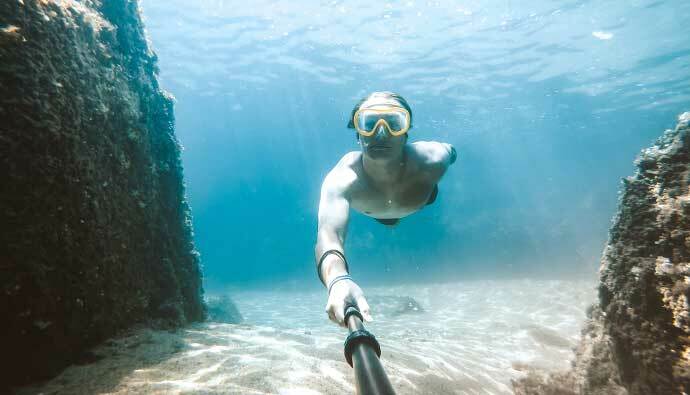 Usually, those modes are used by freedivers and divers who like to go spearfishing. When it comes to dive watches, there are two options available regarding the mounting mechanism. The big majority of dive watches are made to be mounted on your wrist. While others come with a chest mounting mechanism that will attach to your strap or even to your BCD. Wrist straps are more common and they are easy and cheap to replace if they wear out. Most of them are made out of rubber, a common material used in diving gear. Some freediving watches are equipped with a heart rate monitor. Some of them have it displayed all the time and some have it displayed only in certain dive modes (gauge mode). When it comes to the accuracy of the heart rate monitor, the dive watches are accurate since the diver isn’t using their hands to stroke the same way a swimmer does. Although some old-school freedivers and spearos don’t use a freediving watch, it doesn’t hurt to have one since they are helpful and reasonably priced. If your freediving watch allows for 3rd party apps, just note that during your dive they may be restricted since the manufacturers need to make sure they don’t interfere with the critical informations your need on your dive. Finally, most freediving watches are able to sync with your phone or computer. In this way, you will be able to share and backup your dive data between your devices. How to Care For Your Freediving Watch? How often should you charge your dive watch? A freediving watch should be recharged before every dive. As with other electronic devices that use rechargeable batteries, like our cell phones, you should know that the battery will reduce its capacity to hold a charge over time. That means that it will start discharging at a much faster rate as time passes. Most dive watches come with replaceable batteries and those can be purchased from the manufacturer. You should only replace your battery when you see signs of it failing (it discharges faster than usual). When charging your dive watch it’s a good practice (as with every other electronic device) to unplug it once the battery level is full, to avoid damaging the battery. You should only let your dive watch charge until it reaches the full level of the battery. After that, the watch should be disconnected from the charger. Leaving it like that will cause the battery to wear in time. Usually, a charging cycle should last between 2-5 hours, depending on the watch. The ones with bigger batteries will take longer to charge. The battery life of your watch depends on its capacity. The bigger the battery, the longer it will last. Usually, they tend to last between 6-12 hours and even longer if not used heavily. Updates are important for every electronic device. Think of your phone, when a new system update comes up, you should take it. It can provide your phone with a lot of new features and the most important it can extend the battery life of it by upgrading the hardware-software connections. This applies to your dive watch as well. With every new update, you will have more features to enjoy. It is recommended to update it every time it gets a new firmware update. If you are unfamiliar with that, see it as a replacement part. Like a new air filter on a car. It will increase the car’s performance. You should take care of your dive watch like you do with every other diving equipment. If not taken good care of, in time, it could start to malfunction or just look terrible. After your dive, you should always rinse your watch with clean water. Doing that will remove the salt that has deposited on its external components. Salt can cause degradation to the band, housing, and backing. If you only used the watch in the pool, it’s still advised to rinse it with fresh water to remove any chemicals. All you have to do is to let the watch dry and it will be ready to follow you on your next adventure. Do you want it for both freediving and scuba? Whether you are a freediver or scuba diver, it’s smart to have a dive watch. 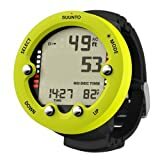 You can use it to count your dives, know when you have to return to the surface to catch a breath, track surface intervals, and keep track of your CO2 levels. Don’t bother keeping track of how long you need to stay on the surface, let your dive watch tell you that. Plus, your freediving watch will show your surface intervals in big clear numbers while on the surface, which is much better than your memory. How many dives do you want to log? Usually, dive watches come with internal memory for saving your dive information. Some dive watches allow for expansion cards, like microSD cards. If you are a diver that likes to track all their dives, having a watch with a bigger storage memory is best. It’s always recommended to backup your dives on your computer in case you break or lose your watch. It comes down to personal preference how many dives you choose to log. What’s the look you want? When it comes to watches, most of them come in 2 shapes: round and square. This is often a personal preference, but you should choose a watch that is able to display the information in an organized fashion. Usually, the watches with a square screen tend to be more organized than their round counterparts. What band material do you want? You don’t want to choose a band that is too stiff or one that may hurt your wrist when you wear it. Most dive watches come with bands made from a polymer. Some freediving watches come with a metal band and these need to be sized for your wrist when you purchase it. If you decide to put the metal band over your wetsuit, chances are it won’t fit, that’s why it’s preferred to use a non-metallic band. The size of the watch usually refers to the size of its screen. The bigger the screen, the more information it will be able to display at once. It’s annoying to start pressing a button to be able to see the temperature or to switch to the screen that is indicating your current depth. A big screen is able to solve that problem. But, you have to keep in mind that the screen is the one that is sucking the life out of the battery. A bigger screen will result in a shorter battery life. Another important aspect is the visibility of the items on your screen. You should choose a watch that has a screen that is able to clearly display the information on it. Expensive dive watches will come packed with a lot of interesting features and it will have a better build quality than a cheaper one. However, having a cheap freediving watch is better than not having one since they still had to go through a quality control protocol. Just make sure the cheap dive watches have the basic functions like surface intervals, a stopwatch, and the ability to track your alarms. The Suunto Zoop Novo is easy to use entry level dive computer packed full of features to see you through your dive career. The large display, dot matrix screen, and four button user interface make the Zoop Novo one of the easiest computers to use and understand with minimal training. It has a simple and friendly interface. The screen is easy to read. It beeps at you if you are ascending too quickly and beeps at you if you are about to pass no decompression bottom time. I feel very comfortable with this computer. The lighted display is a real plus at night or in low-visibility situations. It can be a bit big on the wrist to wear as a watch if you arm is slender. An elegant expression of simple, functional design, the Leonardo is a must-have for divers entering the sport. A single button interface makes it effortless to Program Air, Nitrox and Gauge modes the first time a diver picks the computer up, and an edge-to-edge, the high-definition screen gives large numerical displays in a computer that is still compact and travel-friendly. The visible battery life indicator and distinct audible alarms deliver critical information as well as peace-of-mind during the dive. The Leonardo can also be fully reset after each use, making it an excellent choice for rental departments. This is a basic one-button device that gives you the information you need to know. It has a large display and it is very easy to use. It is an awesome product for the price. The Oceanic F.10 was designed by freedivers for freedivers. It has many freediving specific features including a number of alarms. It’s ideally suited for all types of breath-hold diving, spearfishing or freediving, recreational to competitive. The alarms are easy to hear, the LED brightness to see, and the depth and temp extremely accurate. It’s a solid buy for its price point. It’s the size of a normal wrist watch which is very convenient. Some people have mentioned that there is an instruction manual is provided with the watch. TUSA’s has done a great job on the IQ-1201 TALIS. It comes with an advanced 2-gas watch computer. The highlights of the Talis include the new scroll back feature and the dual time display capability. This dive watch provides a great value for its price. It is the same size as a wristwatch, and you can wear it as a normal watch from time to time. It is very easy to adjust, numbers are easy to use, looks good as a sports watch. Some people might not be a big fan of an all-white watch. It doesn’t bother me though! Shallow water blackouts are real and it can mean last time you dive…ever. Any time you hold your breath you should be watching your CO2 levels. Especially as you get better, the longer you stay down, the more time you need to stay at the surface to bring the level back down. A good rule of thumb is to stay on the surface at least twice as long as you dove. Therefore, if you dove down for 80 seconds, make sure you stay on the surface for at least 160 seconds or 2.6 minutes. This could be done using a regular watch, but a freediving watch does it automatically and has other important bells and whistles that will make your dive more enjoyable. Stopwatches – for improving your depth time training. Depth Alarms – Helps those who are more advance go down deeper and pay attention since it’s easy to forget the time necessary to come back up. This is critical if you’re going for that big fish stuck in a rock or in the bluewater going after that big tuna. Time – For keeping track of how long you’ve been in the water. Backlight – For ease of visibility at depth. Dive Counter – Keeping track of how many dives you’ve taken. Critical for staying aware of the proper rest needed between dives. Dive History – Automatically track your dives to improve your times and show off to your friends. Water Temperature – Know the different gradients of water temperatures. If you get a prized fish at a certain depth, this could also help you when you want to catch another in the future. GPS – For keeping track of where you are in the water. Training Mode – For improving your depth time further. Digital Compasses – Some even come with a digital dive compass. This might seem like a lot of information, but it’s never a disadvantage in the ocean to have it available and easy to read. A freediving watch is a wrist device that gives useful information to the diver. The best dive watch is able to provide accurate readings on temperature, pressure, heart rate, depth and much more as mentioned above. Your dive watch should be made from quality materials. It needs to withstand the harsh conditions of ocean water and also freshwater if you plan to train the pool. Brand name freediving watches are important as their reputation is what will guarantee performance when you need it most. Most newer freediving watches will provide you with GPS positioning, allowing you to know where you are when you surface. 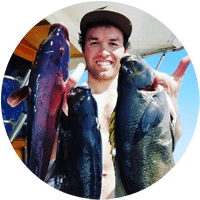 This is a great feature especially if you spearfish because it helps track where the good locations are if you stumble upon a great fishing spot. Now that you’re a freediving watch expert, which one did you choose? Let me know in the comments below! Q: What is free diving? A: Freediving is breath-hold diving, being in and under the water whilst holding one’s breath. Diving without an aqualung is often referred to as ‘skin diving’ or ‘snorkeling’. Both can use a mask, snorkel, and fins, but freediving will always involve a breath hold, no matter how deep you go. Q: When diving with a computer _______? 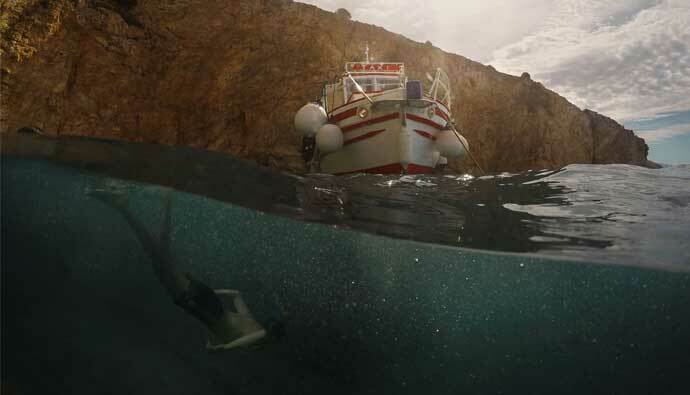 A: When diving with a computer, it is recommended that I dive well within its limits, follow the most conservative computer – mine or my buddy’s, start at the deepest point and progress shallower, and ascend slowly and make a safety stop. Q: What is a dive computer? A: A dive computer is a device that analyzes the environment and applies the data to provide you with the important information you need on your dive. It usually provides you with how much dive time you have remaining before you need to return to the surface. The dive computer combines a lot of instruments into a single one, making it more convenient to be used. 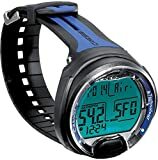 Dive computer, dive watch, scuba watch, freediving watch, and freediving computer can be used interchangeably. Q: How to use a dive computer? First of all, you have to set the measurements. Depending on what you like, you can use imperial or metric values, Fahrenheit or Celsius. Next, check and set the air/nitrox values. Virtually all recreational diving is done on either air, 32 percent nitrox or 36 percent nitrox. Alarms are also a very important aspect that you have to take care of. Some divers like audible alarms, some prefer visual. Either way, you need a reminder to check air, depth, bottom time and NDLs. Q: Do I need a dive computer? A: Yes. In some areas, like the Maldives, dive computers are required by law. You need to have a dive computer on yourself while diving to make things easier for you. The dive computer will automatically update your data, like ascend/descend rate and the depth you are at. It will alert you when it is time to get back to the surface and it will show you how much time you can spend at a given depth. Even if you are a freediver or spearfisherman/woman, it’s smart to have a freediving watch. Think of it as your second brain that doesn’t get tired or steer you wrong. Your diving co-pilot!